February is American Heart Month, so there’s no better time to make sure you’re doing great when it comes to overall cardiovascular health. Maker of connected health devices, Withings, has just released Hy-Result, a paid upgrade to its Health Mate iOS app that delivers advanced blood pressure monitoring. 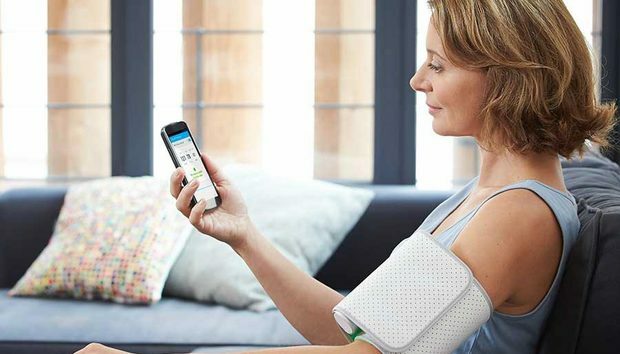 Using any in-home blood pressure monitor, Hy-Result takes six daily readings over the course of five days to create a more comprehensive view of your cardiovascular health. The Hy-Result report also takes into consideration your age, gender, and any medications you might be taking, along with your responses to a health questionnaire, to deliver a more personalized report. You can get the Hy-Result in-app upgrade to Health Mate for a one-time purchase of $5. Health Mate is also compatible with HealthKit. The FDA-cleared Withings Wireless Blood Pressure Monitor costs $130, but Hy-Result works with any in-home monitor because the data can be entered manually. Your personalized Hy-Result report is then displayed using three colored areas so you can better understand your blood pressure. Hy-Result also offers advice and recommendations, and you can send the report directly to your doctor. “With cardiovascular disease being the leading global cause of death, accounting for 17.3 million deaths per year, everyday monitoring blood pressure becomes an increasingly important part of anyone’s healthy lifestyle,” said Withings CEO Cédric Hutchings in a statement. Hy-Result was developed by blood pressure experts and hypertension specialists from Hospital Georges Pompidou in Paris, and it follows the professional advisory protocol dictated by the European Society of Hypertension. In clinical trials, Hy-Result delivered the same results as a specialist about 95 percent of the time. Even though it can be trusted to be as accurate as a specialist, Hy-Result is not intended to be a replacement to paying a visit to the doctor’s office. Why this matters: Overall, when it comes to using in-home blood pressure monitors, the American Medical Group Association found that connected health devices helped patients better control their high blood pressure. When assisted by connected health devices, the control rate went from 38.6 percent to 70 percent.